Now if you were using a wired internet connection , either you are using it with a modem or directly without a modem. For those who do not know what a modem is, A modem is a device which converts data from analog waves format to digital format. Now for example you have bought a Netgear router and do not know how to set it up. Here is a complete guide for router set up in simple steps. Although in the manual set up instructions are usually given, but they are not detailed and show you every step required. Here in this tutorial i will guide you to set it up, even if you haven’t done it earlier and you are a complete novice. Do the assembly given in below pic. 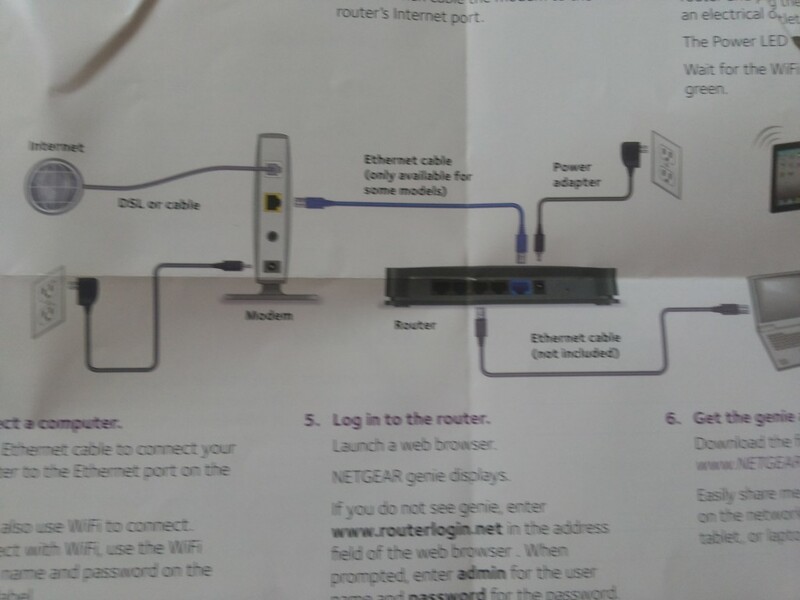 Connect modem with router with the short Ethernet cable given with the router. Attach the Ethernet cable to the different colored slot. In my case its blue. Case 2 : If no Modem is Required. Set up the assembly as shown in the image below. 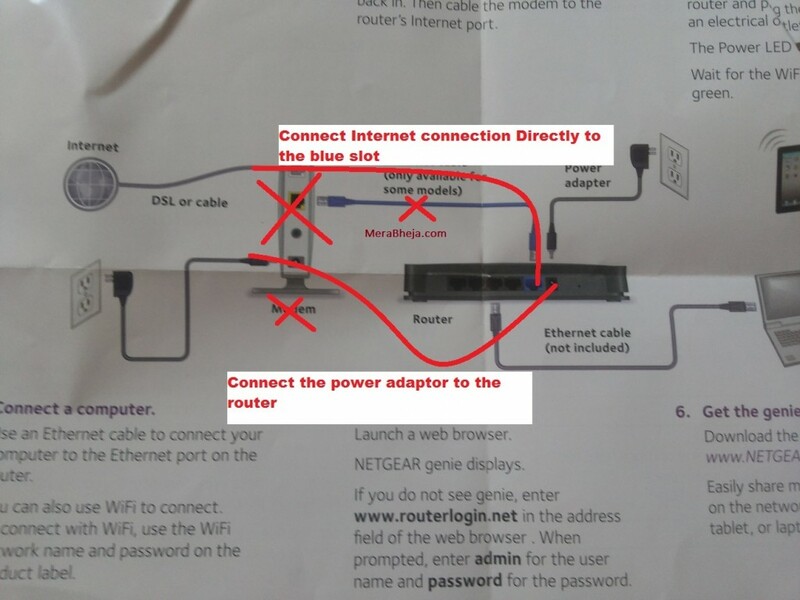 Connect the internet cable to the router. There will be four or five slots present. One of the slot will be different colour. Connect it to the different colored slot. Now Connect the power plug to the router and switch it on. 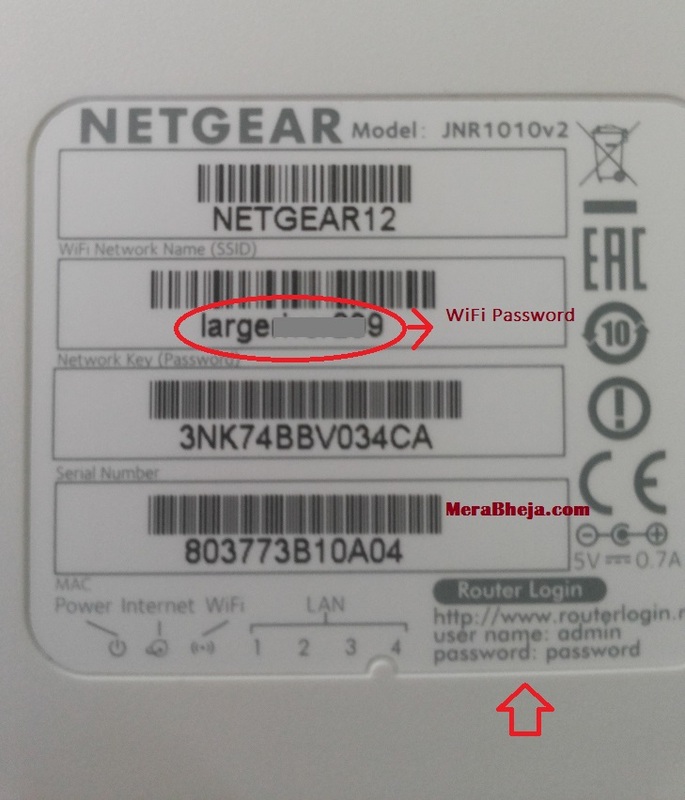 Now Open Your WiFi in your laptop and connect to the Wi Fi network name. 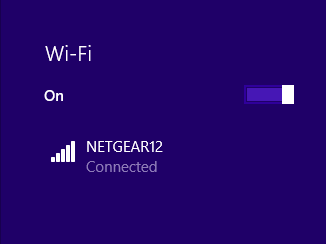 In the above image WiFi network name is NETGEAR12. When you will try to connect for the first time, it will ask for a network password. 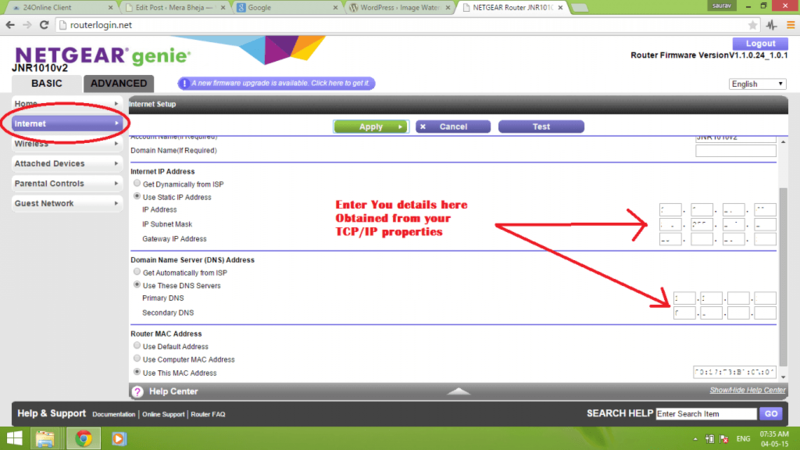 You have to enter the Network key (Password) found at the bottom of the router here. After going inside , Click on Internet on the left sidebar. In the page that comes you have to enter the following details. 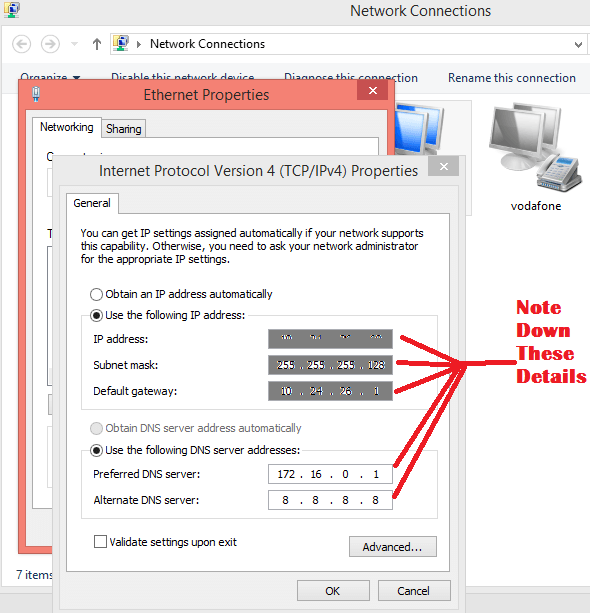 Now for first five details just go to your network connections , and go to TCP/IPV4 properties nad note down them in a notepad and enter them in the routerlogin.net . As far as Mac Address of router is concerned, it will be automatically pre fetched in the form. you can also find it on the backside of your router. Enter all the details found out in previous two images in the routerlogin.net input forms as given. Now Finally click on Apply. It will take few seconds showing you a progress bar and you will be now able to surf internet. Before proceeding please click on wireless in the leftbar and change your passphrase there. Choose a different Name (SSID). I have seen some of my friends using Trojan or virus as their ssid name, so that any other person trying to connect to your wifi will give a thought. Whatever be the ssid name, choose a strong password having combinations of alphanumeric characters. If your internet connection require a login. The webpage you open will require a login. You can also put your login detail in the routerlogin.net, but thats not recommended as it adds a layer of security from using your internet by others.